Dante experienced a spiritual awakening when he was 19 which lead him to a devoted practice of yoga and meditation and study of healing and occult arts. He completed his yoga training in winter 2012 at Dhyana Yoga school in Philadelphia, PA and immidiately afterward began to teach at Hawthorne Yoga & Reiki, where he was introduced to Reiki and energy healing and learned level one and two of traditional Usui Reiki and Integrated Energy Therapy (IET) with Sean Jacobs. He later completed Master Level with Danielle Stimpson, founder of Learn Reiki Philadelphia. Feeling a strong draw to the land of the Mayan people for the energy shift in December 2012, he left on a one way ticket to Mexico and spent a month in a spiritual gathering in Palenque where many spiritual seekers and shaman gathered to call in a new time of healing and spirituality for the planet. 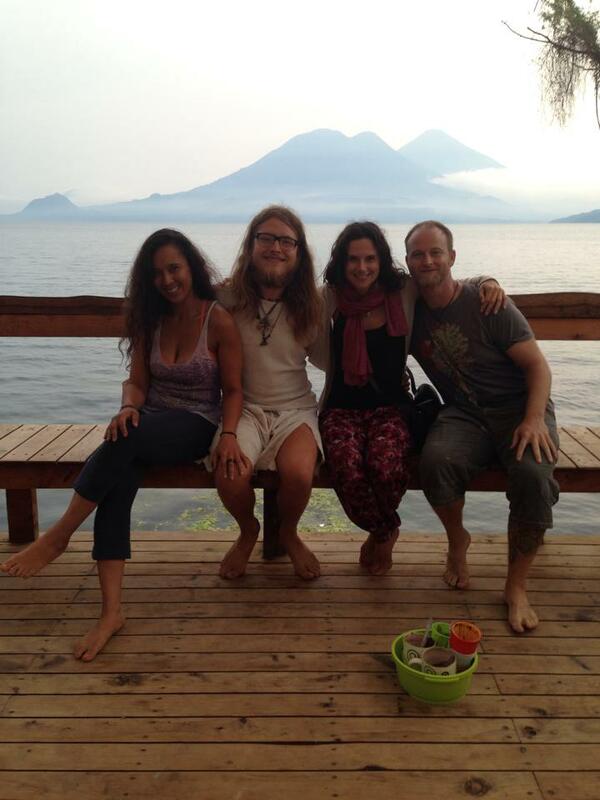 Afterward, he travelled to Lago de Atitlan in Guatemala to the New Age village San Marcos la Laguna and instantly felt he had arrived at home. He soon met his teacher “Dr. Gato,” a doctor and tantric teacher who runs a daily clinic with wide array of healing modalities, and later moved into his small flat with six other students for several months of intense learning and growing. The next year he returned to the same village and focused more on working with another shaman, Keith the “chocolate shaman.” He attended multiple cacao ceremonies a week which allowed very deep healing and learning to take place. During his time in Guatemala Dante was able to refine his teaching of yoga and Reiki and learned several additional modalities including Sekhem, massage, and Theta healing. In summer of 2014 he came to Europe to stay with his partner and begin sharing the sacred cacao ceremonies with others, and later travelled to India with his partner for many months to visit sacred places and complete a Kundalini Yoga Teacher Training in the holy Sikh city Amritsar. Dante has been a powerful catalyst for transformation and healing for many through his healing sessions and classes, though he is still very much a student and feels a strong thirst to go deeper with his teachers and learn new modalities. He had an all inclusive New Age approach to spirituality that says following “one path” is a part of the past and a future of light is in the making through bringing the wisdom from all parts of the globe together with Divine Love. I appreciate the Spirit of your blog and the path you are on…..keep exploring and sharing and inspiring others…best wishes along your Journey.